Popularly known as ‘popcorn ceilings’, acoustic ceilings were once stylish and trendy. Today, they are seen as old, outdated and ugly. Homeowners with this type of ceiling can easily get it removed and replaced with a modern, more stylish ceiling. We have a team of professional popcorn ceiling removal experts experienced and trained in offering effective and prompt service all homeowners will love. A home remodeling project does not have to take weeks or months to complete, and force you out of your home when it is underway. Pete’s Professional Painting & Power Washing can replace your old ceiling with a modern, sleek and clean variation, giving it a new paint finish for a stunning look. Call us at (281) 541 – 1941 to discuss the need to remove your popcorn ceiling. You can give your home a new, modern look and enhance its interior appeal by removing acoustic ceilings. Although you can use any of the many DIY acoustic ceiling removal tutorials on the internet, we recommend you use the services offered by Pete’s Professional Painting & Power Washing. 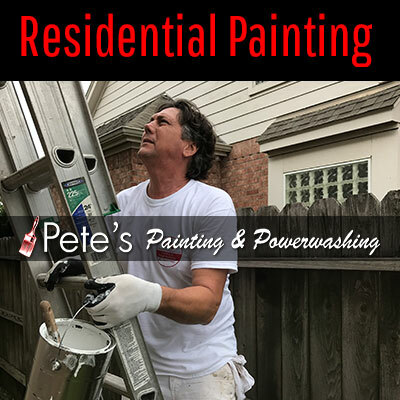 Experts at Pete’s Professional Painting & Power Washing are not just experienced in acoustic ceiling removal, but will also give your home a finish and look that reflects your personality and style. Our professionals get the job done right on the first attempt. Our popcorn ceiling removal services are not just effective and safe, but also ensure your home is clean throughout the entire project. We keep your home free from the mess created by our professionals by removing your furniture from the workspace and covering them professionally. Furthermore, we work on established budgets and stick to predetermined schedules offered by our experts to ensure your project is completed on time. Give us a call at (281) 541 – 1941 when you’re ready to start your acoustic ceiling removal project.